Your family may have changing needs over time. Some of those changes may require assistance from a lawyer. At our firm, we understand that choosing a lawyer to handle your needs is an important decision. We take the initiative and strongly advocate for your best interests. We are the legal team at Epstein Law, and we represent clients throughout the Greater Vancouver Area in family law matters. We are committed to providing professional, competent and individualized services for every client. We understand the benefits our clients see when an effective and efficient resolution is reached. When you retain our services, we conduct an analysis of your situation and inform you of the costs and benefits of pursuing different legal strategies. We make it a priority to keep our clients’ personal and financial best interests in the foreground at all times. You expect strong advocacy from our lawyers at all times. If you have questions, concerns or inquiries, they will be answered as promptly as possible. 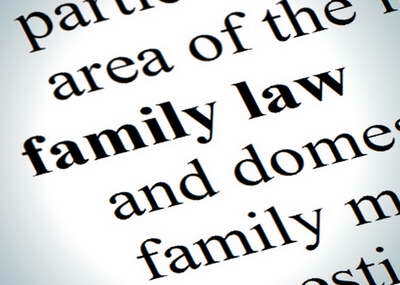 Should you require outside resources for your family law matter, such as a counsellor or psychologist, we will connect you with a qualified professional. For family law and litigation disputes, we are able to handle matters on a limited retainer basis. Oftentimes, this is referred to as unbundled services. This means that we are able to consult with you about your situation, whether or not you decide to proceed with a lawyer. We offer advice and consulting on filing affidavits, applications, court documents and more. Our services can be uniquely tailored to meet your needs. We offer pay-as-you-go services. To schedule a complimentary initial consultation, please contact us at 604-685-4321. We are happy to schedule consultations at your convenience. Additionally, we can handle cases on a limited retainer basis. Call our Vancouver family law lawyers to learn more.